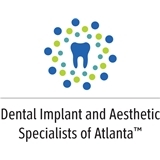 Dental Implant & Aesthetic Specialists of Atlanta (Decatur) - Book Appointment Online! **Our practice is not an 'in-network' provider for any insurance companies, however, we will of course file your insurance and maximize your benefits. ** Dr. Langston is a prosthodontist and is dedicated to helping patients maintain their overall health. Our hygiene department specializes in keeping your mouth healthy for a lifetime. As a specialist, Dr. Langston has advanced training in implant dentistry, cosmetic dentistry, restorative dentistry, and in dental cleaning and teeth whitening.